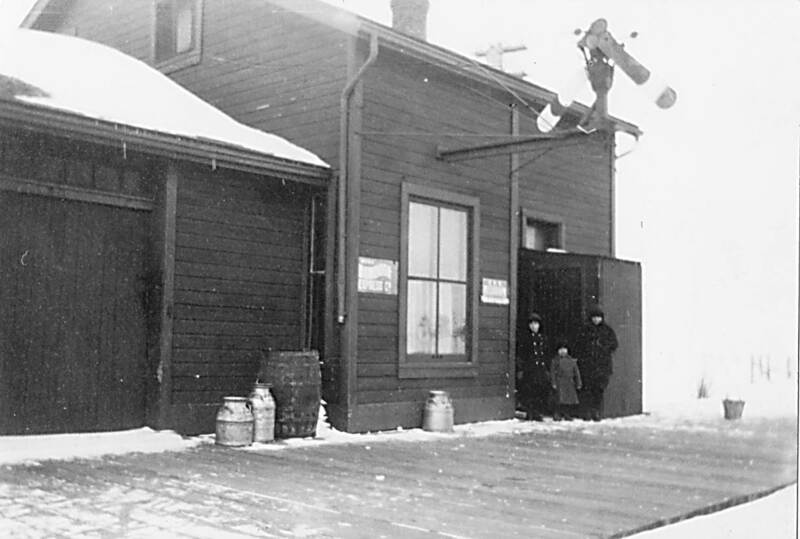 1920’s, CPR mile 28, Mather station in the winter. View – looking N.E. from main track onto station platform. Signs on station adjacent to window are – “Dominion Express Co.” and “CPR Telegraph”. Boys in the picture – l to r: Chisholm Davis, Ralph Davis, Harry Davis. Photo credit – from the collection of Chisholm Davis. This entry was posted in Uncategorized on 2015-06-19 by nfroese.